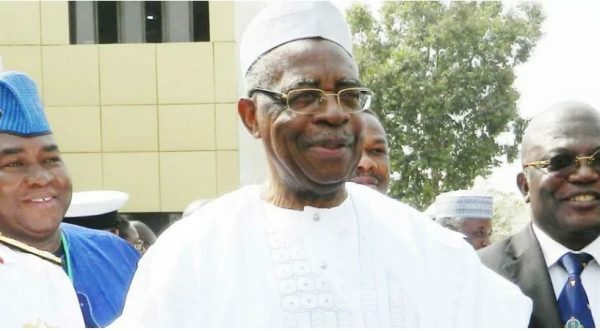 Chairman Takum Local Council of Taraba State, Shiban Tikari, has stated that General TY Danjuma’s recent call for self-defence against herdsmen has vindicated the people of Takum, who had earlier cried out that the ‘Exercise Ayem A’Kpatena’ was out to give cover to the killer herdsmen. Tikari accused the Army operatives of Exercise Ayem A ‘Kpatuma (Cat Race) of brutality, bias, and complicity in the handling of the security situation in the area. Shiban Tikari, who led the condemnation of the Army operation in the area, told newsmen that he had received series of complaints from his people that soldiers were molesting and brutalizing them. “Before the operation, there were cases of kidnapping and armed robbery by people using police and army uniforms. So, even when the army operation started, people mistook them for kidnappers and it caused a lot of anxiety and apprehension. “I have reports that soldiers have been breaking into people’s houses at night, harassing and demanding for people, but it was in front of the army barracks that a member of the state House of Assembly, Hossa Ibi was kidnapped and killed,” he said. On his part, Rimamsikwe Karma, Chairman of Ussa Local Council, said the operation was causing more harm than good to the people of the area. “The herdsmen that followed the Army to our council are not friendly with our people, they are strange faces to us and they are killing people,” he said. The post ‘Danjuma’s Statement Has Vindicated Us,’ – Taraba Residents On Self-Defence appeared first on LATEST NIGERIAN NEWS BREAKING HEADLINES NEWSPAPERS.